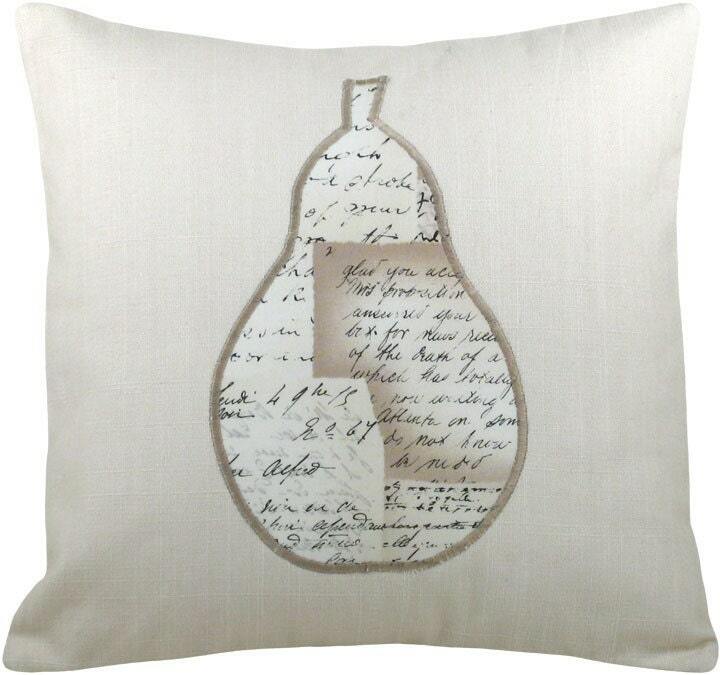 Part of the Mod Pear Collection, this piece is simple elegance! This pear motif pillow features a linen weave cotton main fabric with an appliqued embellishment. Front and back panels are of matching fabric.